A new global campaign launched today to encourage Pope Francis to ‘help fight climate change with diet change’ by going vegan during Lent. The campaign is backed by celebrities, environmentalists, and scientists, including Sir Paul McCartney, Moby, Mena Suvari, Earthling Ed and Veganuary ambassador Chris Packham. Led by Genesis Butler, a 12-year-old award-winning animal rights and environmental campaigner, the Million Dollar Vegan campaign is offering the Pope is $1 million to donate to a charity or charities of his choice, should he pledge to try the plant-based diet. The Pope has passionately spoken out on issues such as global warming, deforestation, biodiversity loss, and world hunger, most recently in his ‘2015 Encyclical Letter, Laudato si’, so the campaign is seeking to highlight one human activity that is rapidly driving these issues: animal agriculture. 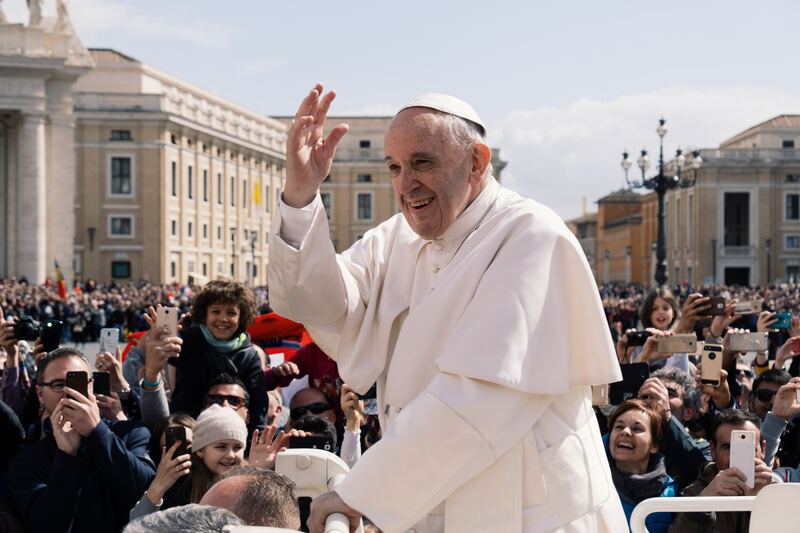 Today, a digital petition addressed to the Pope opened for signatures – you can sign it here. An open letter to Pope Francis, written by Butler with the help of the Million Dollar Vegan team, was printed in national newspapers in 15 countries across the world. Farming and slaughtering animals causes a lot of suffering and is also a leading cause of climate change, deforestation, and species loss. When we feed animals crops that humans can eat, it is wasteful. And with a growing world population, we cannot afford to be wasteful. Butler has also asked to meet Pope Francis, so that she can discuss the issues raised in the letter. We are launching this deliberately bold, audacious campaign to jolt our world leaders from their complacency. For too long they have failed to act on evidence of the damage caused to people and the planet by animal agriculture. Worse, many have defended and subsidised that very industry. But the evidence now is stark and compelling, and we cannot afford for them to remain silent any longer. We are thankful that Pope Francis has spoken out on these issues and that is why we are humbly asking him to try vegan for Lent, and set an example of how each of us can align our principles of caring and compassion with our actions. The campaign is urging people from all walks of life to try vegan this Lent too and a Vegan Starter Kit – written in multiple languages and with country-specific content – has been produced and is available to download for free on the Million Dollar Vegan website. Million Dollar Vegan estimates that each person that goes vegan for Lent will save emissions equivalent to a flight from London to Berlin, and if every Catholic on the planet takes part, it will be equivalent to the whole of the Philippines not emitting CO2 for a year, according to research by Dr Joseph Poore at Oxford University.